Just a few hours ago, we reported that Motorola is set to officially unveil the Moto G7 series on February 7 in Brazil. 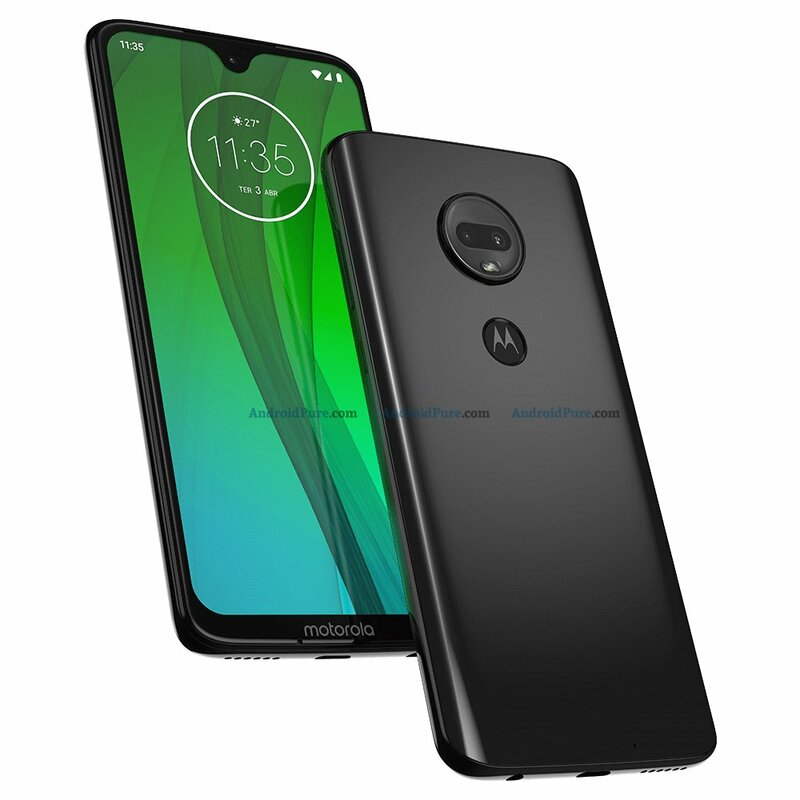 Ahead of the official launch, we at Androidpure got our hands on the press renders and hardware specifications of Moto G7 which reveal all the details about the upcoming Motorola phone. 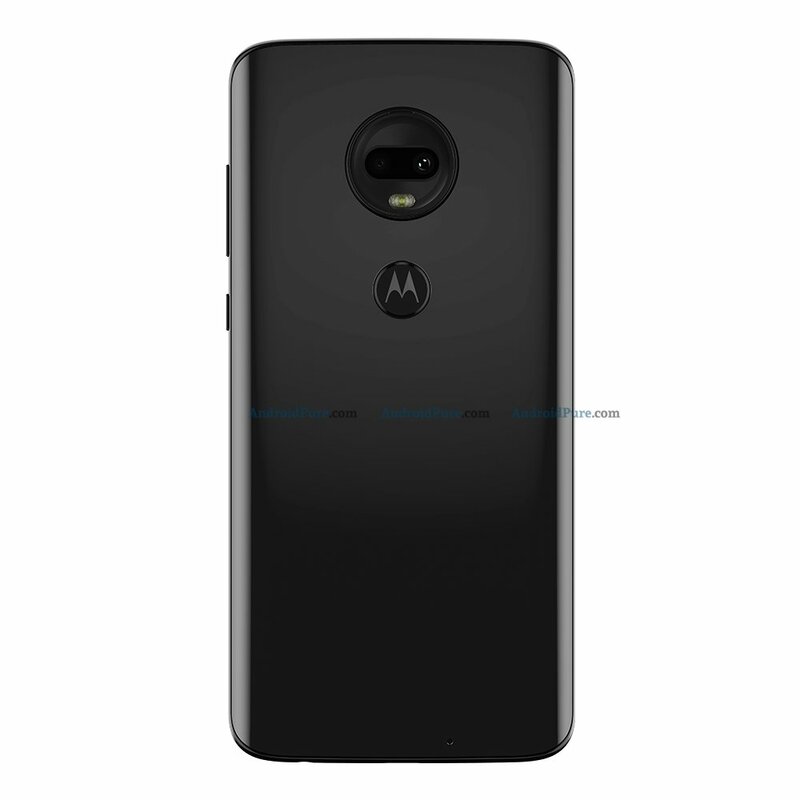 Check out the Press renders of Motorola Moto G7 which confirm the earlier leaks about the device. 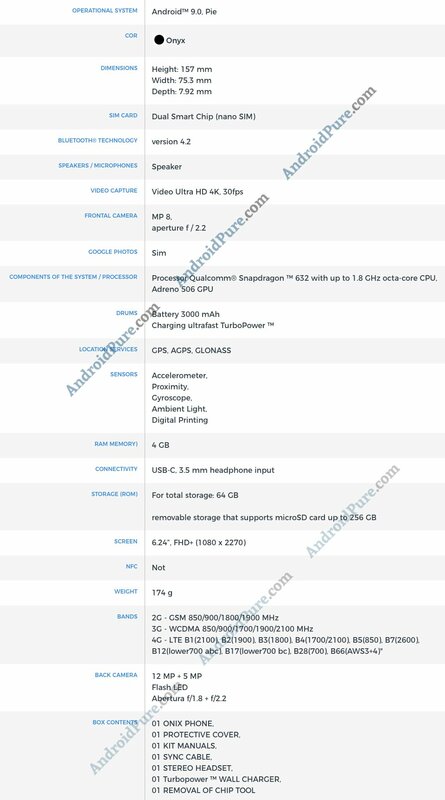 According to the specs sheet, Motorola Moto G7 sports a 6.24-inches Full HD+ display, and runs on Android 9 (Pie) based operating system. The phone is powered by a Qualcomm Snapdragon 632 processor clocked at 1.8GHz with 4GB of RAM. 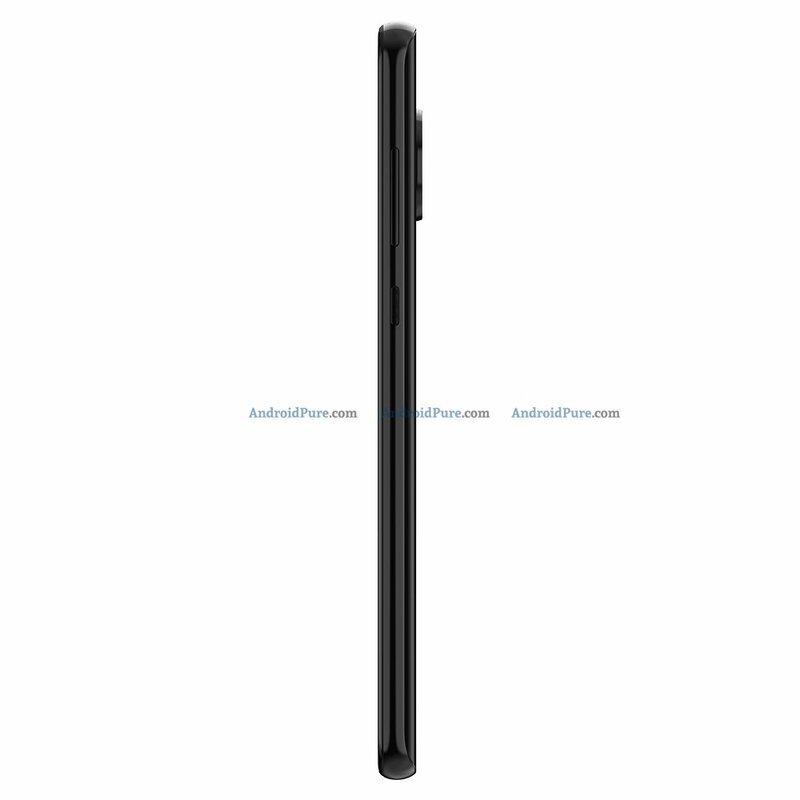 It comes with 64GB of internal storage along with support for expandable storage via a microSD card slotup to 256GB. 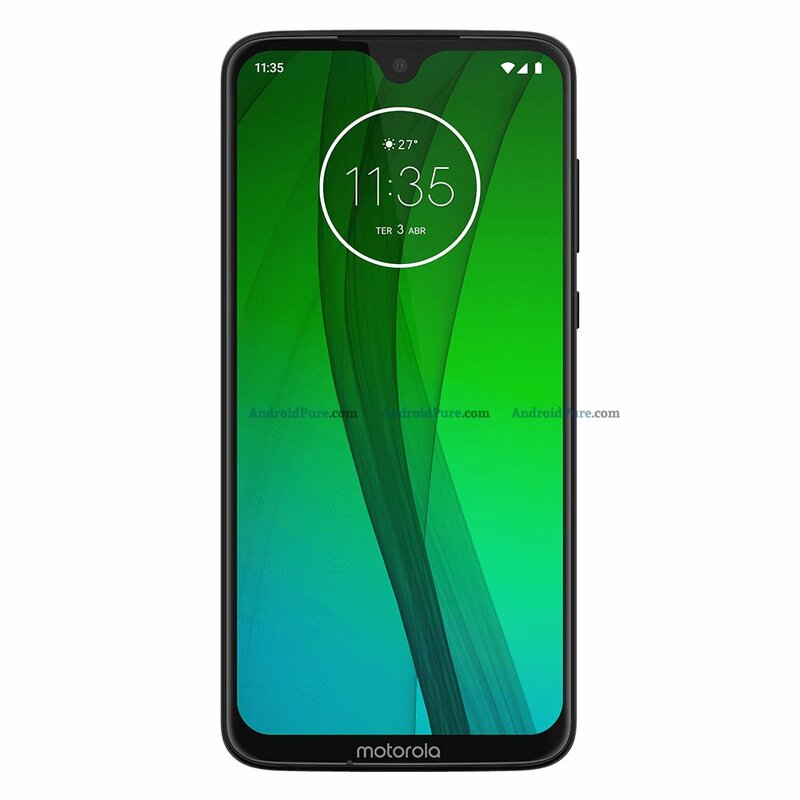 In terms of optics, the Motorola Moto G7 tech features a dual camera module on the rear, consisting of a 12MP primary sensor with f/1.8 aperture & 5MP secondary sensor with f/2.2 aperture and an LED Flash on the back panel. The selfie lens on the phone is an 8MP snapper with an f/2.2 aperture. The phone is backed by a 3,000 mAh battery which supports TurboPower charging over USB Type-C. Other features include 3.5mm headphone jack & dual SIM card (Nano) support. In terms of colour options, it will be available in Onyx Black colour and other colours.